Built with a durable anti-shock rubber case, the iron grey 2TB(2000GB) USB 3.0 External Hard Drive from Transcend combines a 2TB(2000GB) storage capacity with a USB 3.0 interface, 256-bit AES file encryption, and military-grade shock resistance. 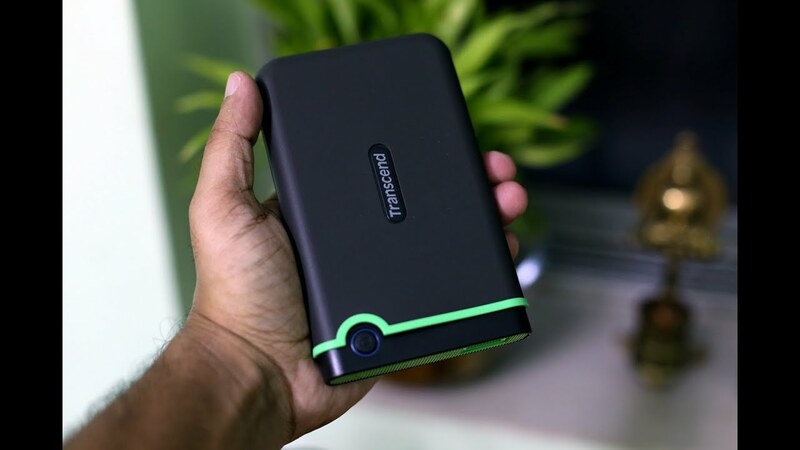 The internal 2.5" hard drive receives further protection from a suspension system, while a one-touch auto-backup button helps to create a second copy of your data and a quick reconnect button re-enables the removed hard drive without needing to remove and reinsert the USB cable. Power is provided via the USB bus, and compatible operating systems include Windows, Mac, and Linux. StoreJet 25M3 is encased in a durable and vibration-absorbing silicone outer shell to fully protect the data stored in your drive. Internal hard drive suspension system. StoreJet 25M3 has a built-in suspension system damper to withstand shocks. In the case of dropping the device, the anti-shock casing prevents your drive from any damage. Order the 2TB(2000GB) Transcend External HDD and have it delivered to your doorstep within 1-3 working days or same day delivery within Nairobi or Mombasa. Payment on delivery.